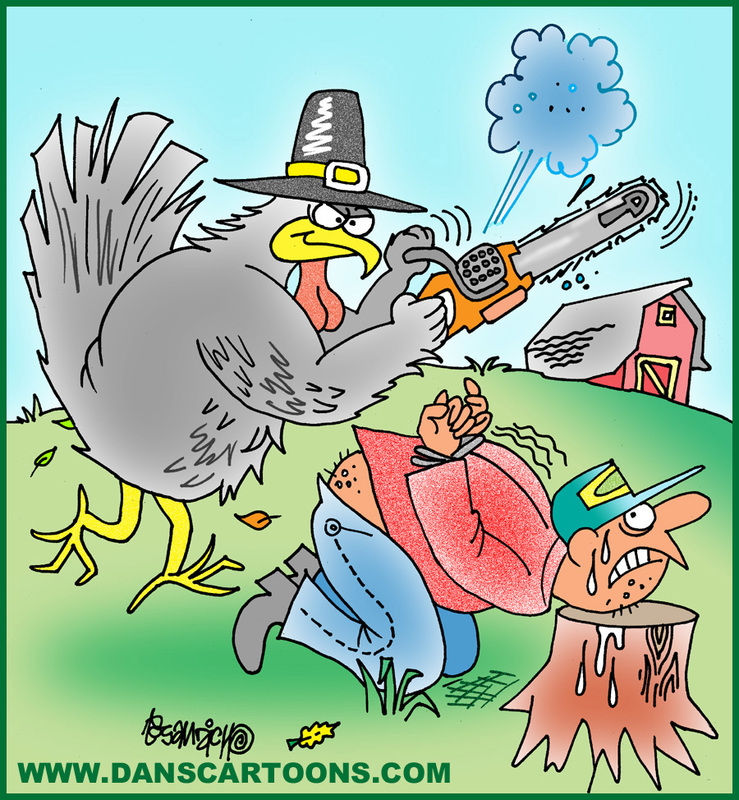 Turkey cartoons about Thanksgiving have been a favorite and I have created other images about turkeys in clip art form also. 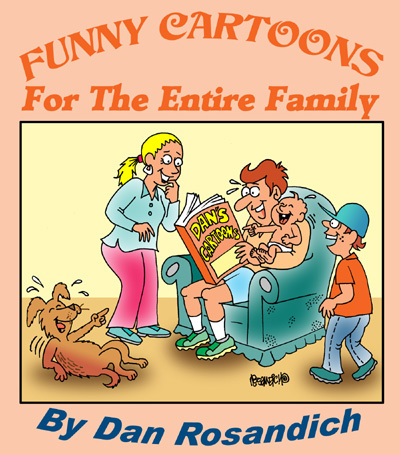 If you seek custom holiday cartoons for special projects, send an email along with any types of questions to my dan@danscartoons.com address or use the contact form. Color cartoons or black & white line art can be started as rough sketches and attached for you to review. If you like what you see, the artwork can be given a final inking or changes can be made according to your instructions prior to finalizing the artwork in the format of your choice….either TIFF for print, JPEG for digital etc. Turkey cartoons can be used on apparel, your personal greeting cards, on your web page or Facebook page or other specific projects . . . perhaps a print ad you are planning for a promotion. 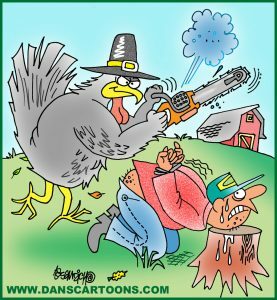 Cartoons about turkey humor can be found in the links below and specific cartoons can be re-drawn or re-captioned based on your needs. Existing black & white line art can also be colorized upon request and no special request is too big or too small, just ask. If you’d like to review another selection of turkey cartoons that can be attached, they could be sent in a single folder and available for your review. I am always producing new back up material and many times, I cannot show everything I’ve created or have on file so it is best to contact me if there is nothing here that doesn’t seem usable or is of interest. Other ways in which turkey cartoons can be used are on special invitations or flyers, if you are planning a family gathering or event in which you’d like to get the message out. Perhaps a custom cartoon to include in the body of your email message you plan to send. Your only limitation is your imagination!